“First of all I need to say, that I feel grateful from A to Z that I could participate in the training prepared by CVS-Bulgaria. It gives me the positive creeps when I think about all of this beautiful and inspiring young activists, who came to Sofia from more than 12 countries of the world to gain the knowledge with. It was the first training like this in my whole life. During 6 days of the training I explored a lot about Human Rights, Migration, Refugees, NGOs, problem of racism and hate speech. In short words, I gained lots of knowledge passed on by very well educated and inspiring people, and what’s more – in the wonderful atmosphere. It was like a big injunction which gave me lots of new skills, ideas and energy to work for the peace in the world. 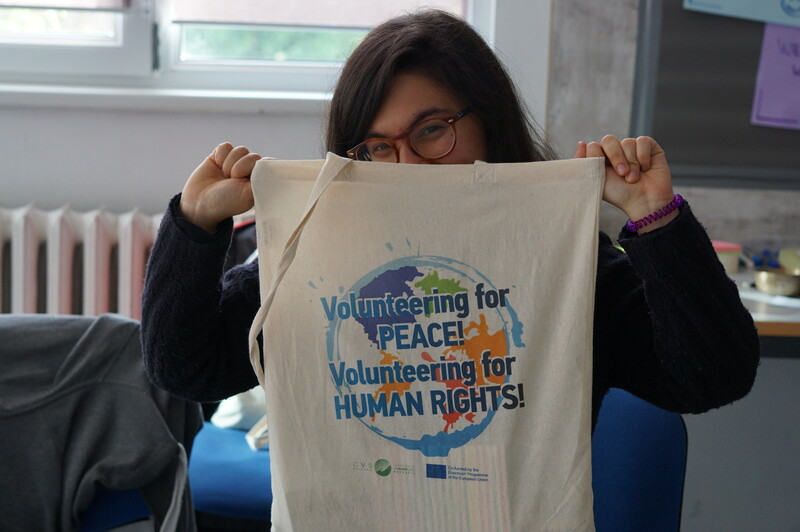 I fell in love with SCI, CVS – Bulgaria and I would love to volunteer with you and fight for the peace in the world. I understood that hope is not the strategy. This is time to be active. I am ready to lead the workshops in my local communities and I do hope that one day I will become an inspiration for someone like CVS-Bulgaria become one for me. Human Rights from A to Z was my first training course with international people and I’m impressed how much one week can extend not only my personal point of view, but also improve my professional skills. social, linguistic and communication skills are important pillars in my work as a pedagogue. 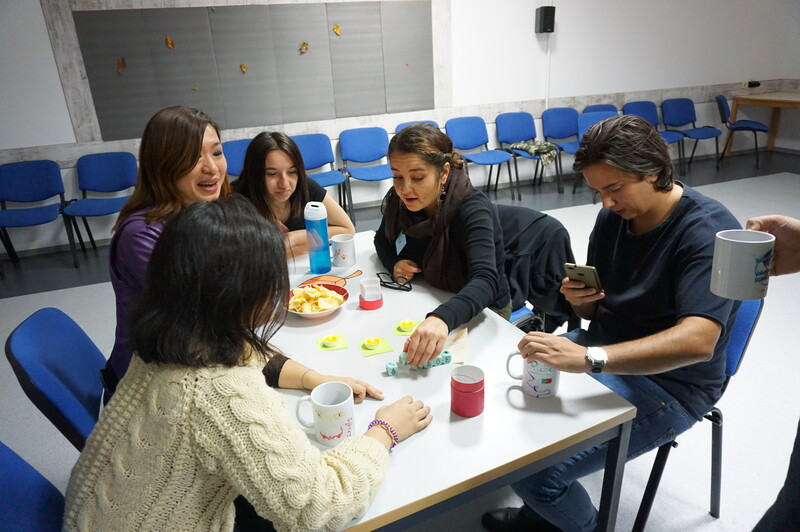 I won’t only include the knowledge about Human Rights and forced migration in my daily work, I will also use the ability to understand different cultures and individuals, which can only be trained in an exchange with others for example in this training course. I established contacts from different professions which extended my network and also my personal horizon. Furthermore I got the chance to consider more opinions in my future decisions. Working and also living with people for a week is an intense time. You get to know each other pretty well in a short amount of time. This provides a well organized program and interested people. During this course I had both. The organizers made a facility full of different people a home for one week. They gave us methods and impulses which we can use for ourselves. At the same time we were always motivated to share and talk. One consequence was that we became friends quickly and the contacts we established will stay for sure. We are all sharing somehow the same interests and came together. This is a fact that I will search in other courses. We are different, so we can exchange, but we are all coming for quiet the same topic. We are motivated to change something and we believe that a single voice matters. Getting in contact with ambitious and interested people gave me more motivation in my future profession, even changed my point of view in certain topics. These exchange should be obligatory for any social field and profession, because this is not a skill you can teach behind a desk. CVS-Bulgaria did a great job. They organized this course well, while staying flexibel about our needs. The daily evaluation gave us the space to include our opinions during the week and the variation of methods was interesting and motivational, so we were concentrated even at the end of the day. After this course I learned new methods that I can use for myself in the future. I can highly recommend CVS-Bulgaria as a great organizer and hope to work with them one day again. This course is a great example for giving young people room for sharing and development. Also I am very thankful for the opportunity of meeting people with different backgrounds in this contexts. I will definitely apply for more projects. All in all after gaining kilos and knowledge I came back to my normal life, job etc. and still hear the ‚ciao Bella‘ in my head in the morning and use my mug for my daily tea. These little things will stay and made me smile every day. Thanks Kat, Nat and Shirin. You’re amazing! It is difficult to break physical boundaries as mental barriers. 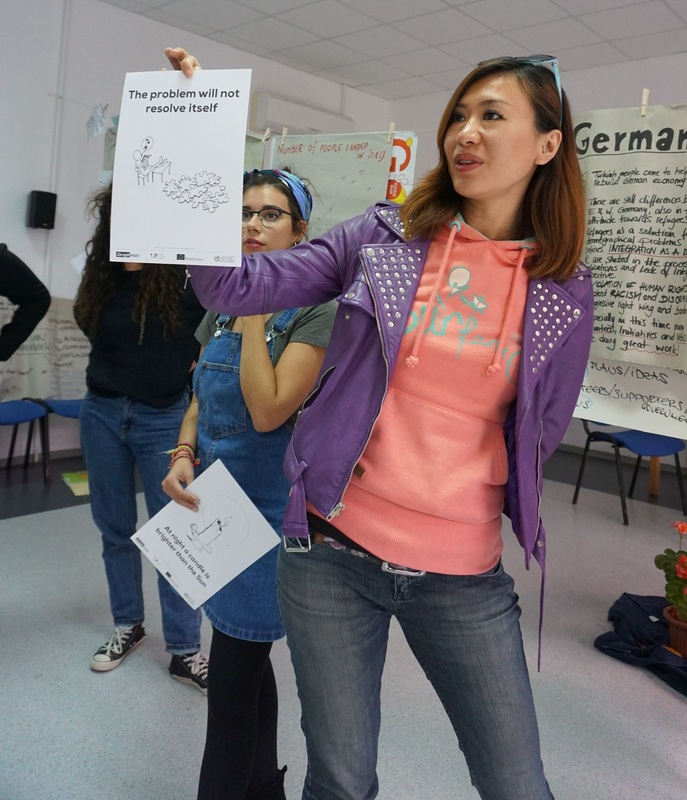 This was the major objective achieved in this training course, which was able to bring together pertinent themes to understand the urgent issue of refugees and forced migration under the lens of human rights, and how 30 young people can be active in these issues. This was not my first training but it was one of the best in terms of results and approaches to the subject. For those who have worked within the area of human rights, knows that it is not an easy subject to make it understandable, since there is still a lot of lack of reflection on how a humanitarian crisis (and consequently of values) affects us and those who are all around us. In this sense, the approach that was chosen during the course was to seek the creativity allied to concrete actions (such as the human library and field visits) to give shape to new ideas that can be realized in my local context and gave me the opportunity to expand knowledge and experiences. It is important to emphasize that in order to understand how human rights are applied in concrete fields, we must learn and understand legal processes, entities and terms. Once again, this course has the ability to synthesize so that anyone has an understanding and framework of what is done at a European level. This training has won a lot due the generous sharing of all the people, which for me was the great value and that I intend to apply in future projects. we all have to learn and we also have a lot to give. This was also possible due to the quality of the mentoring that took place during the process from start to finish and also the work done by all the groups before going to training.I am deeply grateful to all the people and the organization and to the place that received us. Obrigada CVS-Bulgaria, Mers? Kat, Nat, and Shirin and I hope I can share with the same passion what I learned and bring it to Portugal. ‘Human Rights from A to Z’ was my first training course on the topic, and because it was such an amazing experience, it won’t be my last. 1. The training – the thorough selection of various topics – Human rights, forced migration, insights of the situation throughout Europe and in Bulgaria itself, ways to make a difference and change how society sees refugees – have given us the chance to acquire knowledge of the broader picture and come up with specific steps towards a better understanding of how to be humans again. The Human Library experience was one of a kind and sets an example how learning should be viewed as a process that reaches beyond the confines of a classroom. 2. Organization and trainers – the lecturers in the course were immaculate, both as trainers and as mediators during the open discussions. The balance between ready-made information and knowledge that derived from just talking to people was perfect. 3. Venue – I cannot imagine a better setting for the course. Accomodation, training hall, the proximity of the city- it all had an impact on the smooth flow the course had as a whole. 4. People – last but not least, meeting great like-minded people from all around, well the Globe in fact, was a truly inspiring experience. The learning process went on not only in the hall, but at lunchtime, over a beer at the campfire, while going to bed still sleepily sharing stories with the roommates. For all of the above, and still some more, thank you all 🙂 Kat, Nat and Shirin, you are an amazing team and we were lucky to be part of this. I recently participated in the Eramus+ training course „Human Rights from A to Z“. Right from the beginning, when I first read about the call for participants, I immediately felt very enthusiastic and motivated to take part in this seminar. The reason for this is that I always felt that Human Rights are one of the most essential and valuable achievements our global society has created so far. However, I am convinced, that there is much greater potential to share and promote those rights within our communities, but I simply didn’t know where to start. I therefore felt very grateful, when I finally got accepted for the training course. The course took place in the Red Cross training center near Sofia in Bulgaria and lasted for 6 days in total. 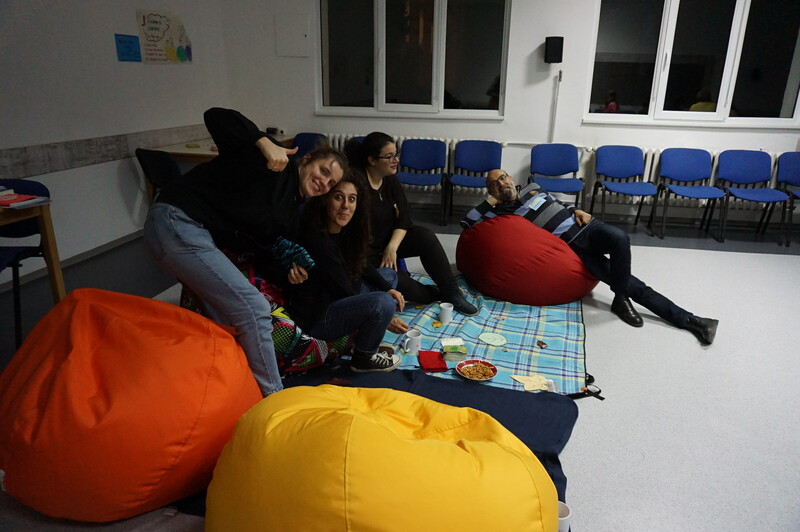 It was hosted and organized by CVS Bulgaria. I have never participated in such a training course before. I therefore arrived like a blank page, excited for what to come. Already after a short time, when all the other 33 participants from different European countries one after another arrived, I felt the friendly and open-minded atmosphere right away. 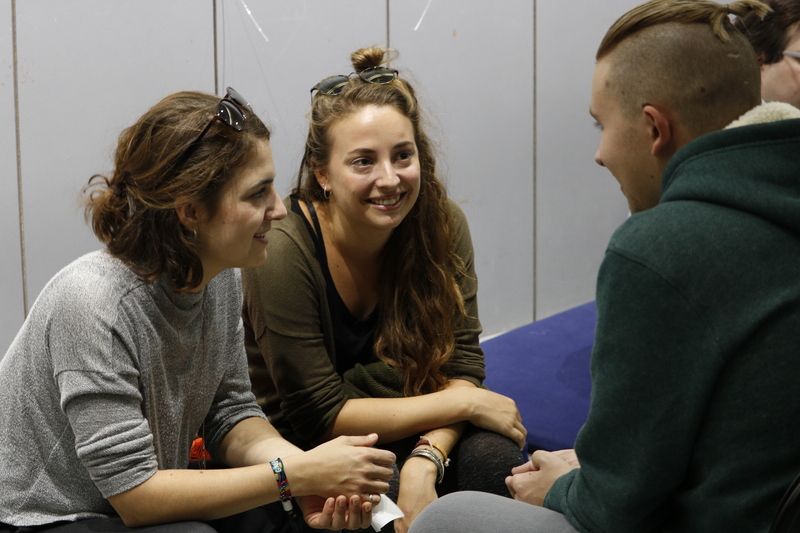 The first two sessions were dedicated to get to know each other. Kat, Nat and Shirin, the organizers of the event, prepared everything with a lovingly and thoughtfully talent. The following two days we mainly concentrated on a theoretical elaboration on the topic of Human Rights. We further discussed the meaning of stereotypes and prejudices, the Dublin agreement, hate speech, islamophobia, other forms of discrimination and we also analyzed specific cases of Human Rights violations. 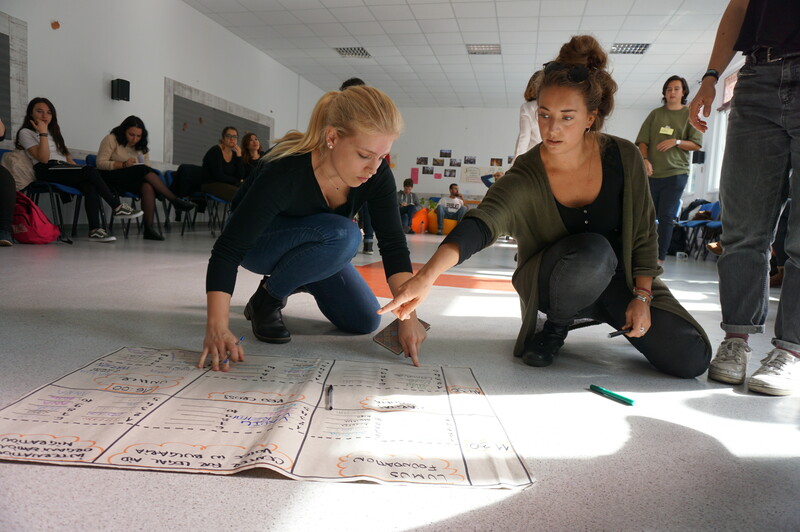 We then embedded our acquired insights into the topic of forced migration in Bulgaria. In this context, we looked at the political framework and developed a deeper insight of what asylum seekers have to go threw. Thanks to the two guest speakers from the Red Cross and UNHCR, which kindly shared their knowledge with us, we received a more accurate impression based on practical examples and specific figures. In a further session we presented the situations of refugees and asylum seekers of our countries of origin. Being originally from Germany, I knew surprisingly little about the refugee situation in other European countries. For me, this was therefore one of the most interesting parts of the seminar. On another day, we had the great possibility to visit several local and international NGO’s. During these field visits, we were able to choose between a wide range of organizations, which surely wasn’t easy since they apparently are all doing a very meaningful job. The first NGO I visited was the “Center for Legal Aid – Voice in Bulgaria”. The members of this organization provided us with an overview of their work, which is mainly dedicated to promote the rights of refugees, asylum seekers and migrant through legal aid and advocacy as well as awareness raising campaigns on the topics of asylum, migration and integration. We later visited the “St. Anna Center for Refugee and Migrant Integration”, which is part of Caritas Sofia. We there achieved an insight on the different activities on integration assistance. We also had the great chance to shortly attend in a language course, in which we learned how to present ourselves in Bulgarian. What I found very interesting in this context is, that the teachers use the so-called “Suggestopedia Method”, a pedagogical concept which I’ve never heard of but which seems to have high potential. I also gained a variety of practical skills, including for example non-formal education methods or the general framework and necessary considerations for implementing a Human Library, which I am planning to start soon in Vienna together with the team of my sending organization SCI Austria. I am highly convinced that this was just the beginning. It felt like a real blessing to meet so many people from different countries, who share the relevance of the topic and the motivation for change. Considering the fact that we constantly continued our discussions on the topics of Human Rights and forced migration within the several breaks we had, perfectly proves, that the members of our group were all like-minded people who are very engaged within this relevant topic. I must confess that I sometimes feel devastated within my studies of International Development. Every day I am reading about unpleasant issues, global inequalities, politics and societies dangerously drifting to the radical-right as well as dramatic cases of Human Rights violations. And the majority doesn’t seem to care. This seminar, however, has shown me, that there are many ambitious people who – with their heart and their soul – are eager and motivated to make a difference and to take on new challenges to attain a positive impact, which our world needs so urgently. I am looking forward to participating in many more meaningful seminars, just like I am trying my best to spread my gained insights also within my community in Vienna. Thanks again Shirin, Nat und Kat, for making this unique experience to one I will never forget. My fellow participants love the human library, so do I. Yet, for me, it was not merely the event on 4/11 in Sofia, but the whole training itself. The organisers/trainers (CVS-Bulgaria, Nat, Kat and Shirin) and the other 31 participants from 12 countries are all storytellers who have inspired me with their experience, knowledge, expertise and insights. Listening to them was such a delight. A few shared with me their personal experience as migrants; some told me about their aspiration to make the world a better place; and all impressed me with their passion in voluntary work. The issues of human rights and forced migration are philosophical, political and at times controversial, intertwining social, cultural, legal and economic factors. Our amazing trainers managed to articulate the key terminology and facilitate discussion among us, so that we could grasp the gist of the topics. Through case studies, group discussion, guest talk and field visits, we explored different contexts of human rights/forced migration and came up with ideas and projects to tackle the issues. I have always struggled to put what I have learnt at school into practice. This down-to-earth training was perfectly organised to fill the gap of theories and actual work. Furthermore, Nat and Kat have demonstrated the desirable qualities of a good trainer. They are patient, passionate and empathetic. I see them as my role models and I hope I could also be an inspiring trainer when I conduct my own workshops or trainings. I was especially enlightened by the field visits to local and international NGOs in Bulgaria. In the morning of Day 5 (5/11), some of us visited the Centre for Legal Aid “Voice in Bulgaria”, an NGO providing general and legal aid and advice to asylum seekers and refugees. I learnt that the “success rate” in litigation is low and advocacy is difficult, thanks to hate speech, state-controlled media and a right-wing government. I could sense the frustration in her voice but she also struck me as a determined individual with a never-give-up attitude. Another volunteer said to us, “You don’t need to be a big NGO to make a difference.” It was definitely an encouragement for me. Whenever people tell me “you have to be the change you want to be”, I hesitate how. Who do I think I am? Yet, the devoted volunteers of this NGO and all my fellow participants have motivated me to get out of my comfort zone. Start small, think clearly, network with like-minded people and act. It’s not easy to walk alone, but as many of my fellows have noted, together we can make a difference. On the last day of the training, we were asked to pick a picture or two that described our feelings. I picked “The problem does not resolve itself” as a reminder for myself. I can still remember on the first night I landed in Sofia, before the training started, I was asked, “how do you end up here?” It does not matter how I ended up in the lovely campsite of Dolni Lozen, but how I will “end up” with the knowledge and experience of this training.